If you are looking at a modern elegant hotel, perfect to visit the historic city of Santiago, you should try the boutique Hotel Iberostar San Felix. 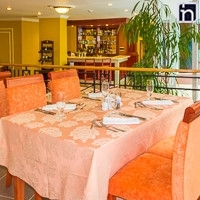 This hotel has been completely renovated and offers exclusive, personalised service. With its 42 exclusive rooms, Iberostar San Felix offers intimacy and friendly service to its guests as well as the privilege and comfort of modern interiors. Its façade has a relevant architectural value and the roof garden and theme bar offer great views over the city of Santiago and are perfect for sipping a Mojito or savour a Cuban cigar. 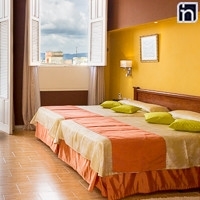 Hotel San Felix was previously managed by the Cuban hotel chain Cubancan and known as Hotel Encanto Gran Hotel. Standard Rooms at Hotel Iberostar San Felix offer everything you may need to unwind and make the most of every moment of your trip. 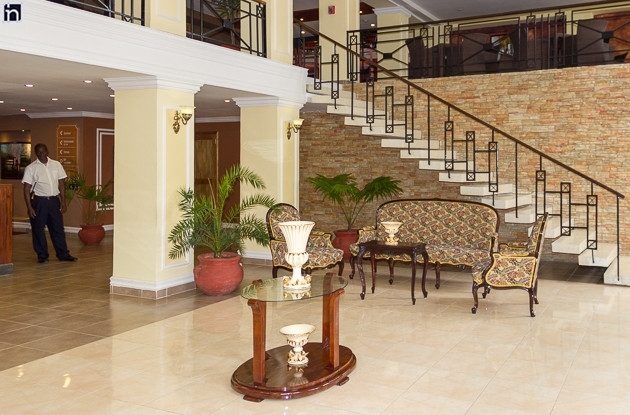 Rooms are spacious and featuring a neoclassical style. They are equipped with a double or two single beds private bathroom and wardrobe, and include free room service. Some have the option for interconnecting rooms, ideal for those who are travelling with their family or a group of friends. Junior Suites at Hotel Iberostar San Felix are perfect for travellers are looking for something a little different, unique and exclusive. The rooms offer a large fully eqipped double bedroom, a spacious and stylish living room, private bathroom and wardrobe. Junior Suites are perfect to relax and enjoy luxury service. Superior Standard Rooms at San Felix Hotel offer beautiful views of Santiago busiest shopping street, allowing you to truly immerse yourself in the city's most authentic atmosphere. They are spacious and comfortable and equipped with a double or two single beds, private bathroom, wardrobe, free room service and much more. Studio Rooms at Iberostar San Felix Hotel are versatile and comfortable, designed to welcome visitors arriving for both business and pleasure. These rooms offer plenty of space with an elegant, functional style. They are equipped with a double or twin beds, complete private bathroom and wardrobe.